Even a small decorative element can absolutely change a thing, add some zest or hide a small defect. Craftswomen resort to various tricks to create an exclusive model of a dress or blouse. Embroidery with threads and ribbons, stripes and decoration with rhinestones, beads and other decorative elements are used. 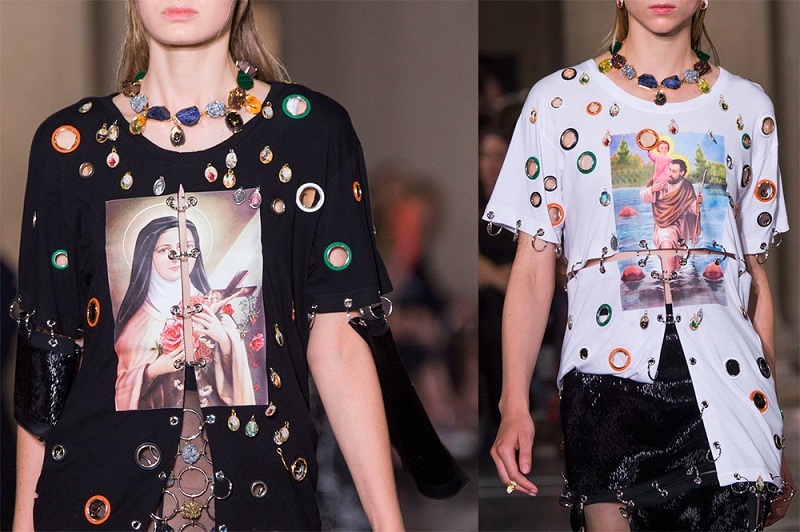 Today we propose to consider such a variant of clothing decor as the use of eyelets. 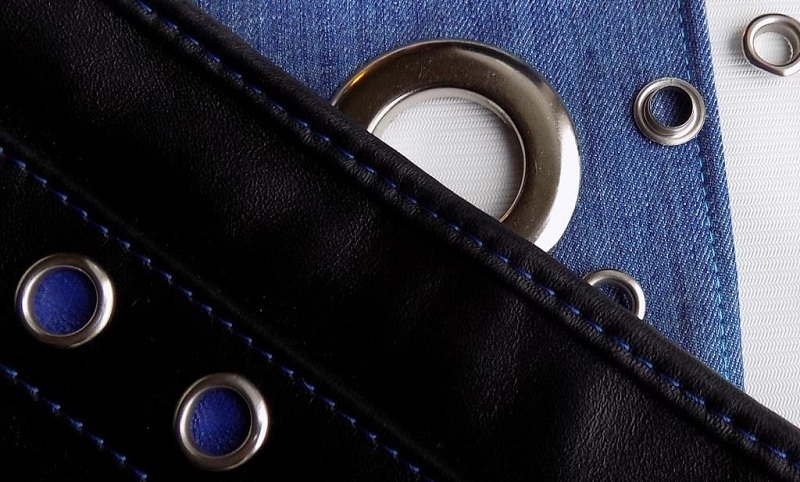 The grommets are a pair of metal flat rings, which are mounted on both sides of the fabric to give a neat look to round holes. 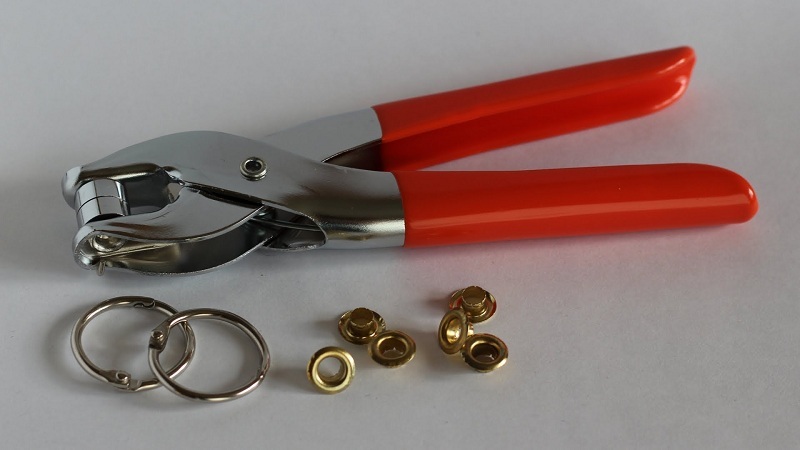 This type of accessories is most often used for processing holes in the fabric of clothing, designed both to facilitate the threading of laces and for decorative purposes. In this case, the grommets perform a protective function from shedding the edges of the holes in the material. 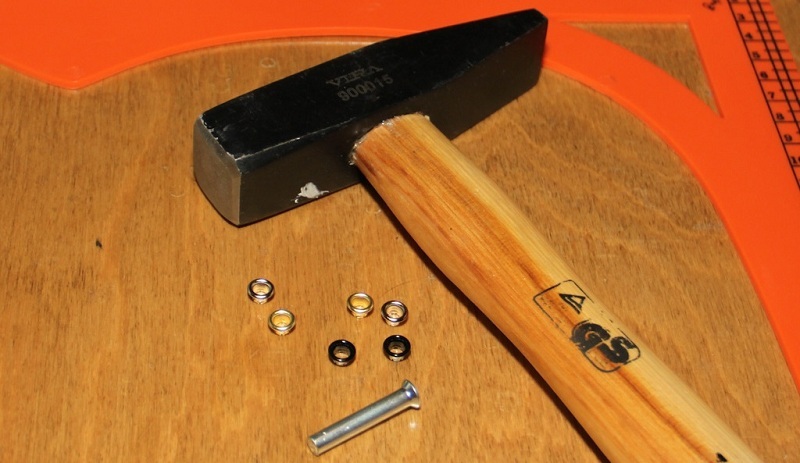 Install grommets with special tools and tools. But at home to make such a procedure is quite realistic. The article describes in detail the process of installing the grommets with your own hands on various types of fabric. Using the advice of experienced craftsmen, you can easily, without additional costs for the services of workshops and sewing workshops, give a new life to your favorite dress or costume, as well as create an exclusive model from the usual stuff. Fittings can vary not only in size and shape but also in color, as well as in the material from which it is made. It all depends on the destination and place of attachment. Next, proceed directly to the installation of accessories. On the fabric in the place of the future hole, make a mark on which with a sharp end of scissors (stationery knife) pierce a small hole. The hole made by scissors should be so narrow that the eyelet cap passes through it very tightly. 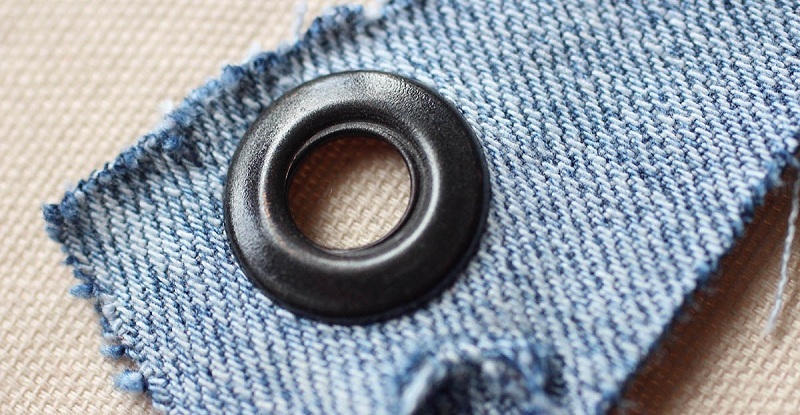 But too small a hole cannot miss the cap – then there is the possibility of deformation of the fabric near the installed eyelets (wrinkles will be visible and puffs may appear). Consequently, the diameter of the hole made should correspond to the diameter of the grommet, i.e. be slightly smaller. From the front side of the fabric, insert the cap of the grommet into the hole made in the material. Further work on the installation of accessories will be carried out from the inside of the material. Therefore, carefully, so that the part does not fall out, turn the product on the opposite side and place it on a hard surface. Tip! The fabric with the grommet can be put on a wooden cutting board or on a metal sheet. The main thing is that the surface is sufficiently solid and does not say when hit with a hammer on the parts of the hardware. The next thing you need to do is to insert the washer on the protruding leg of the eyelet and press it as tightly as possible to the fabric. For further action, you will need a Phillips screwdriver, the diameter of which will be quite a bit larger than the hole in the middle of the eyelet. Insert a screwdriver into the hardware and sharply (but not too hard) hit the top several times with a hammer. During the impact, the leg of the grommet will expand slightly, and the edges will open. Now it is necessary to press the corners of the legs to the fabric. Put a screwdriver or a coin on the grommet and hit it several times with a hammer. 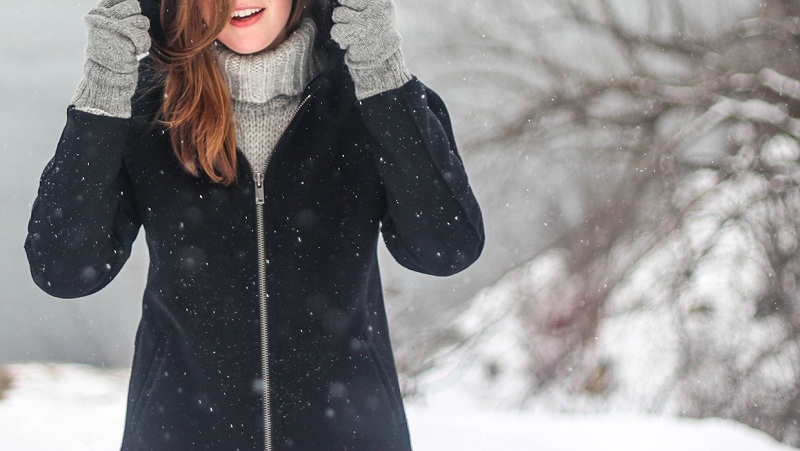 The edges of the grommet will snugly close and will not allow accessories to jump out during use of clothing. Grommet installed! You can safely wear and wash clothes, without fear that the edges of the holes in the material are deformed. The described method of fitting installation is universal for all types of fabric. 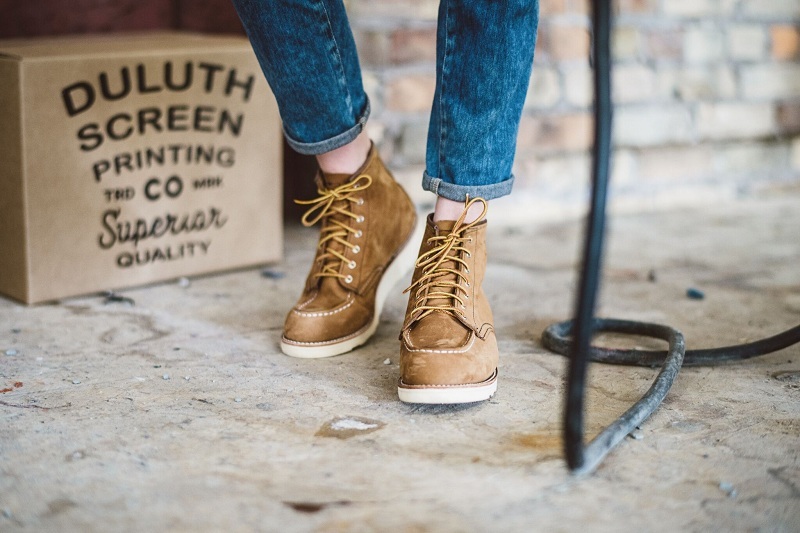 The only caveat: for a thinner material (for example, knitwear or silk), an additional layer of cloth (Dublin, leather, footer) or a plastic washer should be inserted between the parts of the accessories. This is necessary so that during use the grommet does not jump out, but rather tightly held along the edges of the hole. The installation process differs from the above in that the holes should be made not only on the clothes in the place where the fittings are installed, but also in the lining material. After the grommets are installed in the right place, excess lining fabric should be trimmed so that it does not interfere during use. Only a properly and tightly installed grommet can ensure long use of the product! 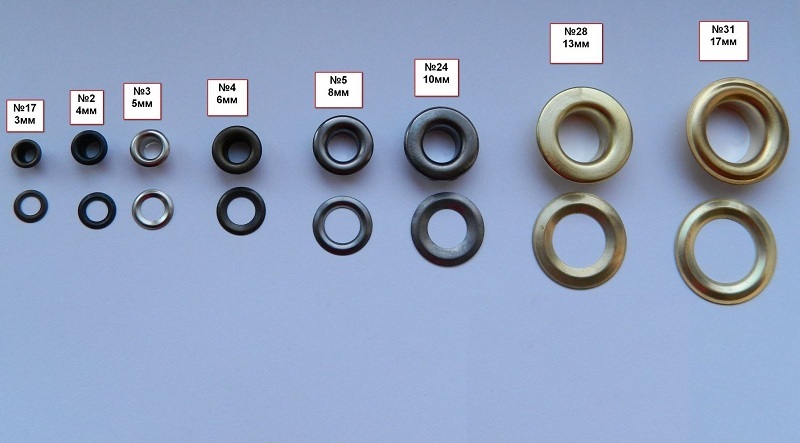 Today, in specialized stores and websites you can freely purchase various sets of eyelets with special tools that facilitate the installation process. Such devices will allow you to decorate clothes, shoes, and accessories at a higher professional level. 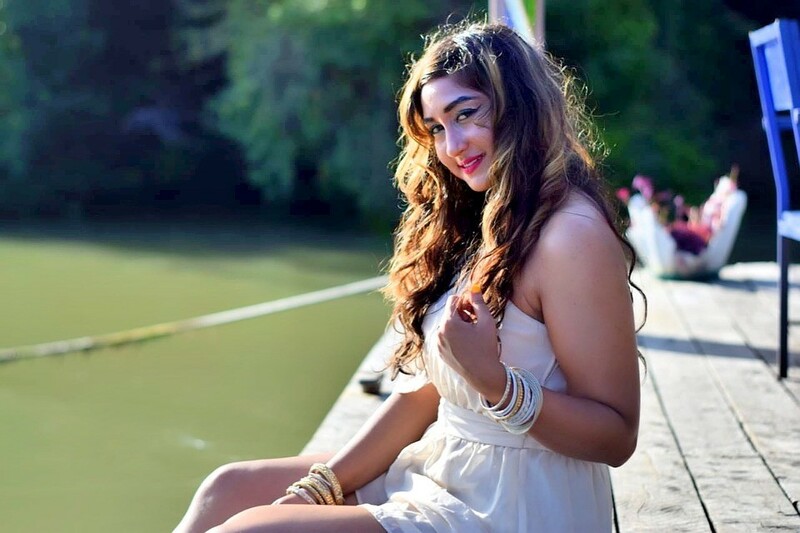 Using the tips and recommendations proposed in this article, you can safely get down to business and not be afraid to experiment in creating a new image.